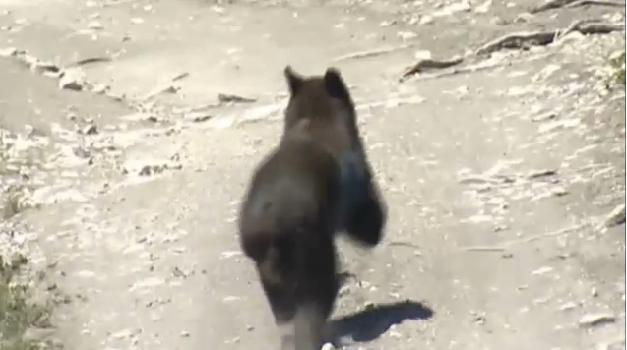 A Utah family celebrating Father's Day with a camping trip to Wyoming survived an encounter with a bear thanks to the quick thinking of their 11-year-old son. It was supposed to be a family fun day of camping but it quickly turned into a nightmare for the Kelly family. "I said, 'Run, Moriah,' and she didn't run, so I got to her and I started running with her, and that's when the bear started running after us," Baden said. "By the time it got to about 10 feet behind us, my brother came running really fast out of his cabin and shouted very loudly." "The moment I saw Moriah being brought up by the staff, it was just such a relief, and she jumped into my arms and said, 'Baden and Logan saved my life,'" Kamila Kelly said.